Inspired by the Keyword Kaleidoscope technique taught by Tali from Tarot Town in her Lenormand Course, I took this one step further and accidentally discovered a really easy way to uncover unique keywords and meanings for any card in tarot, without fail; including reversal-meanings. It immediately cuts to the chase both ways; that is to say, in no time at all you can create your own positive and negative traits for any tarot card. Next, in positions A,B & C we are going to create a new keyword by merging existing keywords together. In position ‘A’ link keywords 1 & 2 to create a whole new keyword, one that it ‘born’ as it were from combining the essence of these two keywords. After thinking about it for a few seconds the word that I came up with by merging ‘excited’ and ‘trusting’ was ‘anticipate.’ It is not difficult to see how ‘anticipate’ easily fits with the energy of ‘excited’ and ‘trusting.’ I write this new word in position ‘A’ on my grid. Now, do the same for position ‘C’ combining keywords 1 & 3. In my example the new word created from merging ‘excited’ with ‘care-free’ was ‘child.’ Once more, do the same for position ‘B’ on the grid by combining keywords 2 & 3 to form a new keyword that reflects the essence of these two original keywords. In my example the new word born from merging ‘trusting’ and ‘care-free’ is ‘allow.’ Play with it, there are no ‘wrong’ answers, whatever your subconscious mind links by merging two keywords together is what works, for you! We now have 3 new keywords using Tali’s Kaleidoscope technique, but now we are going to take it one step further to discover shadow keywords that will be useful in reverse-card readings too. These we’ll slot into positions AB, AC and BC. Using the same technique I consider keywords ‘A’ and ‘B’ to create a new keyword born from merging the two, but this time I allow myself to dwell for a moment on a negative possibility. The first thing that comes to mind when a child waits in anticipation of something that does not come is ‘disappoint.’ This then becomes my ‘shadow’ keyword in position ‘AB’ on the grid. Considering keywords ‘A’ and ‘C’ I decide on ‘relinquish control’ as a shadow meaning, derived at by contemplating a negative effect of ‘anticipate’ and ‘allow.‘ Finally for position ‘BC’ on the grid I consider what negative trait could be born from ‘child’ and ‘allow.’ After a few moments I deciding on over indulge as my shadow word. This technique is easy to do and can be applied to all tarot cards. Give it a go, you might surprise yourself with the unique keywords that you discover with this method. Share your discoveries in the comments below, we can all benefit from them! I do a lot of divination for myself and for others. One of the most awkward questions for me to answer has always been, “when will this particular thing happen?” Some cards have obvious associations with timelines but others do not. How long a time is suggested by the knight of cups? What point in time is indicated by this card? Well the question can be resolved easily when one sees how the cards fit onto the wheel of the zodiac as depicted in the model we are looking at. This is the first advantage of working with this visual tool, answering the difficult question of “when” actually becomes actually quite simple. So as we go through each card below take a look at the illustration. It may look a bit complicated but it will be simple if you read along and keep referring to the illustration. So we all know there are 12 signs of the zodiac. These each rule 30º of the zodiac. It’s a no-brainer we just divide the wheel of the year 360º by 12 to get the amount each sign will rule. But note that the Astrological year starts in Aries, in March, and not as we are used to in January. The confusion starts to creep in with the small cards and the court cards. 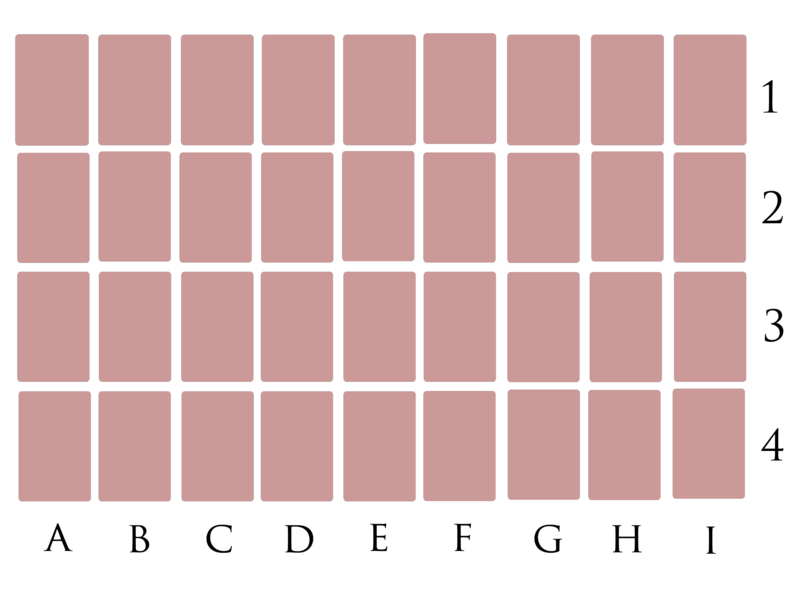 Each quarter of the year is ruled by one element as represented by its Ace. So, for instance, the first quarter is ruled by Taurus and Earth. It is also ruled by the Princess of that same suit. After subtracting the Princesses and the Aces we have 36 small cards and 12 court cards left over. The small cards each rule 10º of the zodiac, three to a sign. Each small card is also governed by a planet. Its meaning is actually the product of that planet in the sign that gives it its meaning. For instance the 2 of Wands is Mars in Aries, in the Thoth deck Dominion, Mars in the sign it rules amplifies the martial energy to create power and control. Each of the small cards can be understood in this manner. The court cards, like the signs of the zodiac, rule 30º of the wheel. However due to their intermingled elemental nature they are offset from the signs of the zodiac by 10º so each card rules from 20º of on sign into 20º of the next sign. This can also help to determine what energy a person would have in their personality. Sort of like a mini astrological chart. I have found this to be and invaluable tool for expanding the way I relate the tarot to both the year and to time in general. I hope it helps. Today I simply have to share my most recent obsession and Cartomancy indulgence. In one word, Lenormand! Okay, so it’s not strictly tarot, this is a 36-card oracle system named after Madame Lenormand, the most famous card-reader of all time. She was the cartomancer of Napoleon and Josephine Bonaparte, amongst others. Mlle Lenormand claimed to obtain her first deck of cards at the age of 14 from gypsies who taught her to read. It wasn’t however until two years after her death that the first ‘Lenormand’ deck named ‘Le Grand Jeu de Mlle. Lenormand’ was published by Grimaud. This deck was created by a Madame Breteau, who purportedly was a student of Madame Lenormand. If you’d like to learn more about the Lenormand style of reading, pop over to Tarot Town and join for a free course written and taught by the lovely and talented TaliTarot. The course/group is called Lenormand Lessons with TaliTarot, where she teaches Salon-Style readings with the Lenormand. And, did I mention it is FREE! In fact, Tarot Town offers so many wonderful resources for tarot enthusiasts that it is well worth joining even if you don’t want to enroll in Tali’s Lenormand course just yet. You will most certainly find a lot of other things that will entice you to become a part of this vibrant community. 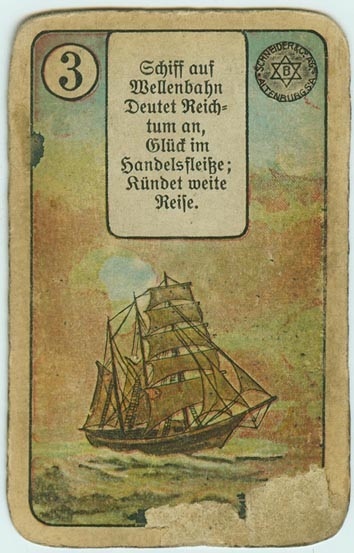 I was very happy to find the gorgeous Lenormand 1892-1931 Altenburger Spielkarten & Co deck (featured) in the public domain that you can now download from here. You may find it helpful to use during the course until your first Lenormand deck arrives if you don’t already own one. Links to download are below. For those who are already enrolled in Tarot Town’s Lenormand course, here is a handy download of the Grand Tableau template (as promised) that may come in useful during your studies. I’ll be ‘seeing’ you all in class! Now all I have to do is figure out how to pronounce Lenormand – presumably with a fake French accent! Download a Grand Tableau template in PDF format. Or save the template below to your computer – PNG format. At 4 cards per sheet all 36 cards are available, spread over the 9 pages below.